Following the Rotary Youth Leadership Award (RYLA) weeks for boys and girls, it has become the stablished tradition over the past 10 years to encourage the young folk to organise an event to raise funds to benefit charities at home and abroad. This gives them an opportunity to put into practice some of the leadership and team-working skills that they have learned during their time at RYLA. “Leaders make things happen” is one of the phrases used to describe an effective leader and the RYLArians of 2014, like those who have preceded them, certainly took this to heart. The chosen home-based charity was ‘Sick Kids Friends Foundation’ and the international charity was Rotary Foundation’s drive to ‘End Polio Now’. 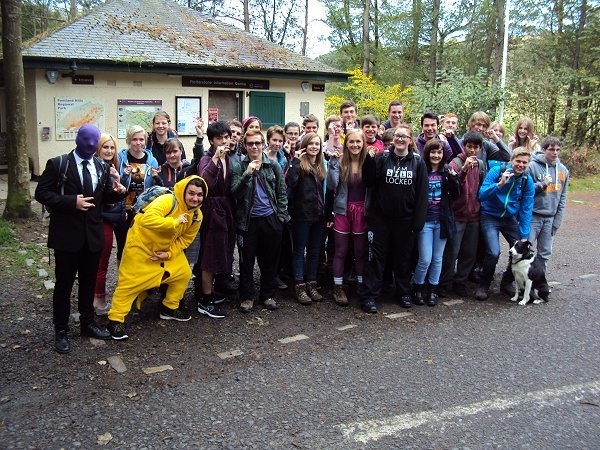 A sponsored walk was organised in the Pentland Hills and took place at the beginning of October.